After receiving a sizable grant from NASA, the Texas State University STEM department needed a sizable site to go with it. Between needing newsletters, daily updates, and a syndication of multiple resources across different platforms, the request was hefty. Through the use of RESTful APIs, VND was able to sync EPDC’s new WordPress site with their existing eTouches platform, connecting their remote staff to the site automatically. 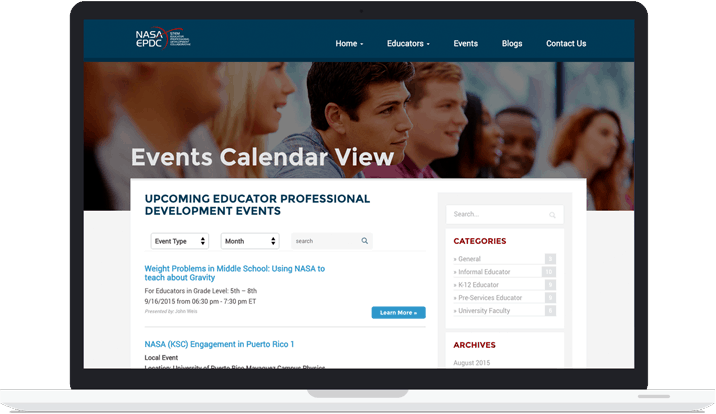 Staff can edit and post content on what has become a greatly visited website with over 10,000 pageviews per month, and users receive an automated events and resources newsletter every month. Keller Williams San Antonio had great online resources, but they didn’t have a way to display listings from a multiple listing service (MLS listings). 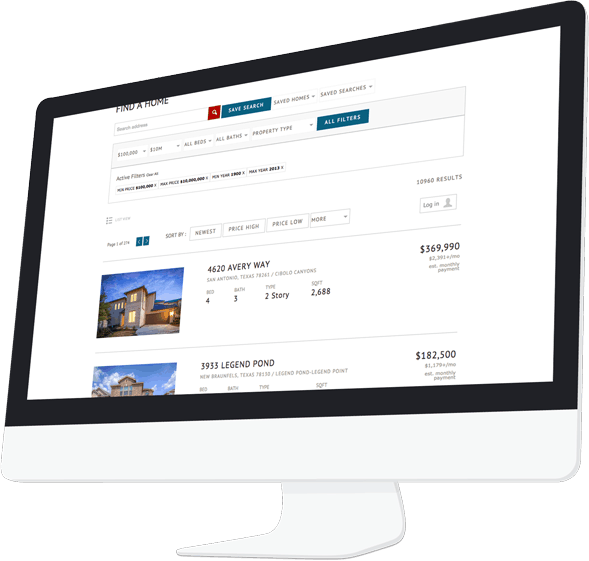 Thanks to VND’s existing MLS services, we developed a custom interface that allowed users to interact with the listings with actions such as saving and adding favorites, removing listings from view, and saving entire searches. A website that fulfills Keller William’s goal of making home buying and selling incredibly simple and informative, featuring easy to navigate property searching and in-depth neighborhood research. CRT Flooring Concepts required both a product, manufacturer, and supplier database to be used internally and a virtual client greeting application to be used when clients visit their place of business. 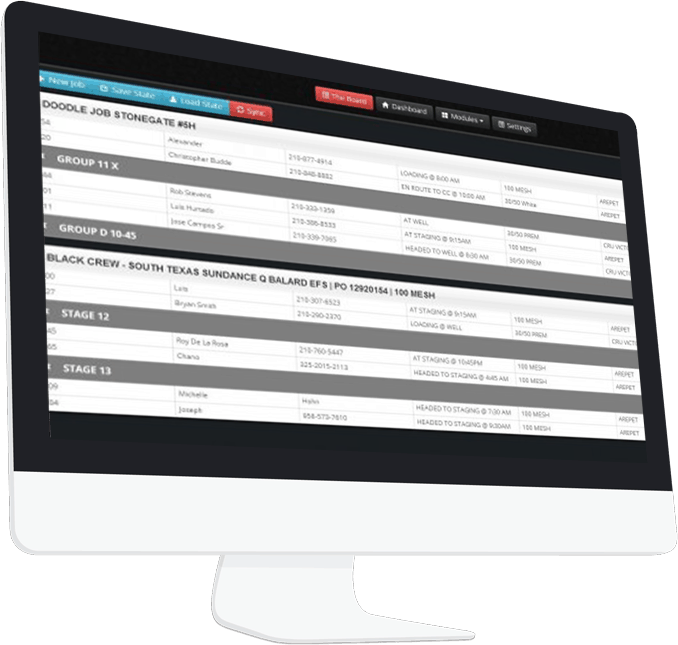 CRT Flooring Concepts can now deliver even more professional on-site visits with a simple but highly useful appointment and operations database. TCT Dispatch was using a combination of unrelated tools to track a system of truckers, dispatchers, and administrative staff to deliver tons of sand to different oil wells across South Texas. The system was stressful to use, to say the least. VND decided to use a blossoming technology, Node.js, to create TCT Dispatch’s solution. Through a web socket that kept constant connectivity, VND was able to deliver information between dispatchers, administrative staff, and drivers on a 24/7 schedule with zero downtime. We also added the ability to send text messages from a single dashboard, and provided server hosting with a redundant scenario to protect against any primary server failure. A process that before had taken several hours was reduced to a few minutes, which saves millions of dollars in time every year. 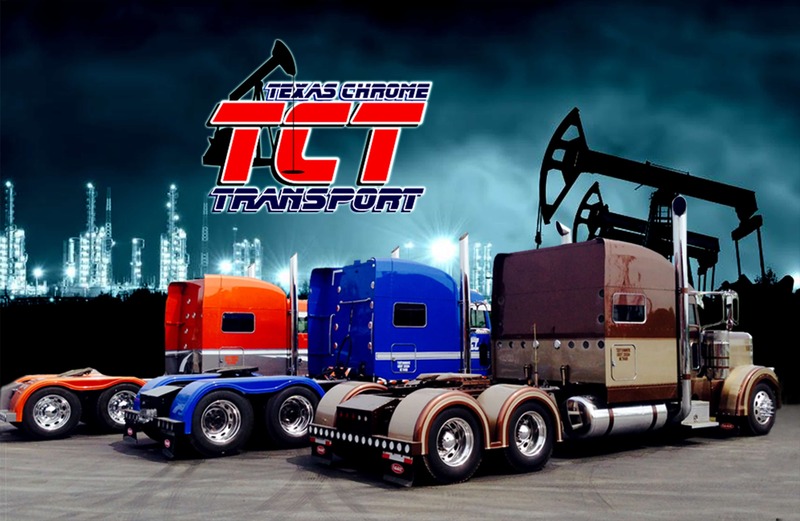 The TCT team is now featured on a popular Discovery channel TV show, aptly named “Texas Trocas”, which has recently released its third season. Mission Title, one of San Antonio’s oldest title companies, approached VND for a web site redesign and a challenge to integrate their new site with their existing intranet server infrastructure. Through use of modern PSD Slicing methods, VND took several designs provided by the client and converted them into a fully functional responsive WordPress website, which also connected to their existing resources and tapped into RSS feeds for their blog content. 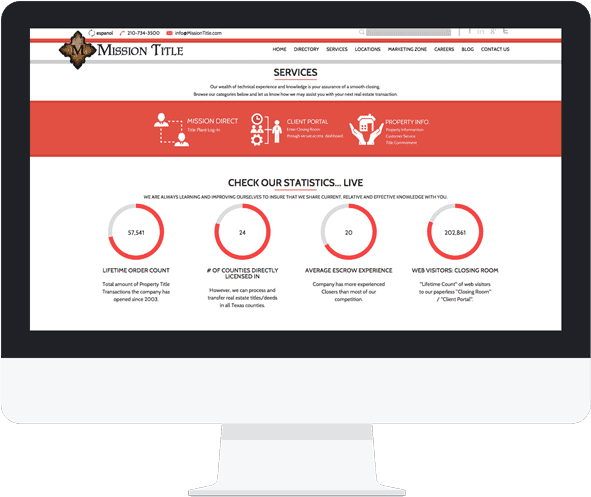 With beautiful visual elements, a Spanish-language alternative and data integration from third-party resources, Mission Title’s new site puts them ahead of the curve in the title industry.